As the first Gulf country to establish a strategic partnership with China, the United Arab Emirates (UAE) has been China's largest export market and second largest trading partner in the Arab states for many years. 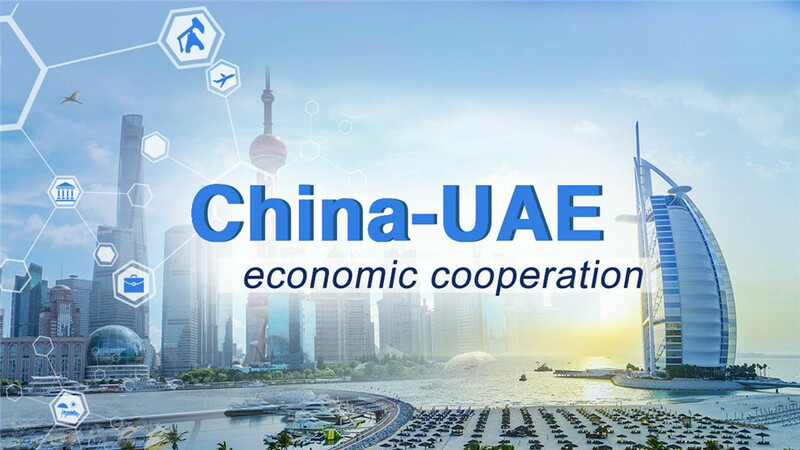 Since the establishment of diplomatic ties between China and the UAE in 1984, the annual trade volume between the two has increased from 63 million US dollars to more than 50 billion US dollars. China's Belt and Road Initiative is highly compatible with the Revitalizing the Silk Road Concept proposed by the UAE and both countries have enjoyed broad cooperation in the fields of energy, infrastructure, finance, technology and tourism over the past three decades. As China's economy grows, one of its main strategic goals is to ensure a reliable and long-term energy supply. The UAE has become a trusted partner in this aspect. In terms of investment and finance, the two sides actively engaged in mutual investments and enterprise cooperation amid the background of the global economy being upgraded. Initiated by China in 2013 and officially established in December 2015, the Asian Infrastructure Investment Bank (AIIB) has provided abundant fund-raising opportunities for its members in the areas of energy and infrastructure. The UAE officially joined the AIIB in April 2015. China and the UAE established a 10 billion-US dollar investment fund in 2015, aiming to promote diversified business investments in a range of areas. The fund also played a key role in supporting the Belt and Road Initiative. Enterprises of the two countries have broad cooperation in the fields of oil and gas, clean energy, finance, and infrastructure. The Dubai Multi Commodities Center (DMCC), the largest free zone in the United Arab Emirates (UAE), also provided Chinese firms with convenient conditions. China National Petroleum Corporation (CNPC) and Abu Dhabi National Oil Company (ANDOC) jointly founded a company named Al Yasat Petroleum in 2014, and the CNPC holds 40 percent of the shares. China's Alibaba and Dubai's Miraas Holding announced the joint investment in the construction of the Dubai Data Center. In October 2015, the joint venture company Yvolv established by the two companies launched its first mobile application, Yvo. China's telecom firm Huawei and UAE's national telecom firm Etisalat formed a strategic partnership in 2005. In September 2015, Huawei established the first customer service center in the Middle East in Dubai. Huawei has become the main supplier of equipment in the UAE telecommunications industry. The UAE's chemical firm Borouge built plants in the Fengxian District of Shanghai and in the Nansha District of Guangzhou in 2010. The UAE's hotel giant Jumeirah Hotel has eight properties in China, including Shanghai, Guangzhou, Hangzhou, Nanjing, Wuhan, Haikou, Qiandao Lake and Sanya. The two sides are also seizing opportunities to develop cooperation in tourism by emphasizing each other's unique geography and regional customs. In 2017, Chinese visitors to the UAE exceeded one million. In the first quarter of 2017, 1,600 UAE tourists visited the Chinese mainland, a year-on-year increase of 4.6 percent. At the same time, 230,000 Chinese visited Dubai, a year-on-year increase of 64 percent. In January 2018, the UAE became the 11th country to implement mutual visa exemption with China. To further optimize the shopping experience for Chinese tourists, the Dubai tourism administration is currently discussing plans with China's online payment operators for launching online payment platforms in Dubai.